In association with the Canadians from the Montreal University and Brasilian colleagues from the Natal University, the Geneva Observatory and members of the NCCR PlanetS will soon participate in the construction of a new instrument capable of detecting planets with the radial velocity method. The NIRPS (Near Infra Red Planet Searcher) project will enter its concrete phase with its first meeting bringing together all partners from 13th to 15th January at the Geneva Observatory. This instrument with accuracy comparable to that of HARPS is designed to detect and characterize planets orbiting red and cold stars classified M by astronomers. 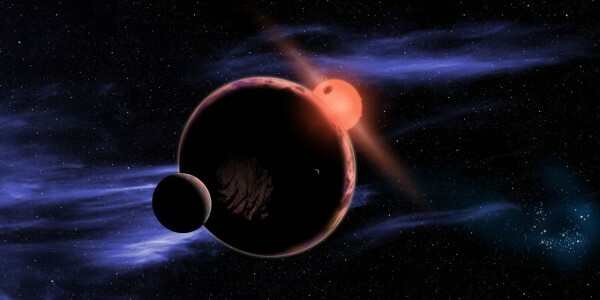 It may also confirm the presence of a small Earth-like planet around the hottest stars of which the signal has the same order of magnitude as the noise of the star. The smaller the radius of the star and the lower its mass, the more easily detectable a planet is, while its gravitational influence is greater on a small star than on a big one. To benefit from this fact, however, we need to observe in the infrared because it is the main area of ​​radiation of small and cold stars. In addition, M stars being less luminous, their habitable zone is much closer than for solar type stars. The orbital period of the planets in the habitable zone of M stars is then much less than that of the Earth, that is, a few weeks instead of one year. Finally, according to various studies, the presence of Earth-like planets in the habitable zone of M stars would be about 40% to 45%. Ease of detection, short period of revolution and abundance of planets thus justify the transfer of technology to infrared. To achieve this goal NIRPS must however meet certain requirements. It must be able to ensure a long-range accuracy of about 1m/s in the measurement of radial velocities. Only a high-resolution spectrograph (85’000-100’000), powered by fiber, temperature-stabilized and no moving parts can claim this kind of result. In order to be effective, such an instrument must be installed on a telescope dedicated to radial velocities and on which hundreds of nights are available. That is why the 3.6m telescope at La Silla in Chile is tipped to be selected, allowing NIRPS and HARPS to work together. First lights are expected in 2018 as foreseen in the “collaborative agreement” signed with ESO to quickly be in the sky and thus guarantee the follow-up of candidates detected with the US satellite TESS (Transiting Exoplanet Survey Satellite). Indeed, planets around M stars that TESS will have found will be among the most interesting targets for characterizing their atmosphere with the future James Webb Space Telescope (JWST). NIRPS it’s already the future that is underway.